Did you know that in 2016, nearly 3.8 million drivers ran red lights? Were you one of them? Have you witnesses a red-light runner? Have you had your own near-miss? Unfortunately, South Florida does not lack for drivers who disregard traffic lights. The National Safety Coalition for Safer Roads released footage called "2017 Florida's Worst Red Light Runners." Florida ranks third in the country for red light running deaths. Red light runners cause hundreds of preventable deaths and thousands of injuries each year. According to the Insurance Institute for Highway Safety, in 2016, 811 people were killed in crashes that involved red light runners. Those killed are often bicyclists, pedestrians or vehicles that the red-light runner hit. Data from 2015, showed that an estimated 137,000 people were injured by red light runners. 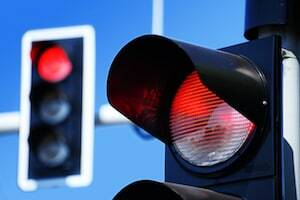 In a 2016 national telephone survey by the AAA Foundation for Traffic Safety, 93 percent of drivers said it is unacceptable to go through a red light if it is possible to stop safely, but 36 percent reported doing so in the past 30 days. Drivers who run red lights are full of excuses as to why they can or should do it. More often than not a driver loses their patience, often because they are in a hurry to get somewhere. Other reasons or possible causes include the driver did not see the signal, they tried to beat the yellow, they reported they had a green, they intentionally violated the law, they were unable to stop their vehicle, they were followed by another vehicle, or they were confused by the signal. While some red-light running is unintentional, many are often the result of aggressive driving. Most accidents occur at or in intersections. Statistics show that red light drivers tend to be younger, male, do not wear seatbelts, have poorer driving records and drive smaller, older vehicles. Other red-light runners drive distracted, were drowsy driving, or were driving under the influence of drugs or alcohol. Governments and safety organizations are trying drivers' education, controversial red-light camera enforcement, or improving engineering like changing traffic signal timing or improving visibility to reduce the number of incidents. Intersections are the number one place for accidents and crashes to occur. Speed is also another major player in these accidents. Drivers, bicyclist and pedestrians should approach intersections with caution. They should always be aware of their surroundings, other drivers and road users before they proceed. A split-second decision may save or change your life forever.